The Katakuris are a modern defunct family. Father, Masao Katakuri (fifty-two years old) has recently been laid off from the shoe section in a department store. With his retirement money, Masao decides to pursue his dream and open a guest house in the mountains with his wife Terue (fifty-one years old) and grand-pa Jinpei (seventy-eight years old). But since this is modern Japan, no matter how old the children become, it seems they never leave the family's home. The Katakuri guest-house also includes the parasitic singles: son Masayuki (twenty-nine years old) a useless lay-about with a criminal record, and daughter Shizue (three decades old) who has just returned home with her little girl Yurie after a failed marriage to a Turk. The story begins with the family opening its guest-house in the mountains behind the famous summer resort town of Karuizawa. After several quiet weeks lacking a single guest, its troubles begin. A group of passing psychics tell the Katakuris that their house is cursed and doomed. The next night, during a storm, the first guest arrives in the dark. A depressed and lonely man, he commits suicide in the room. Afraid that the notoriety could kill the business almost before it even starts, the family hastily buries the man in the woods behind the house. The next guests who arrive to spend the night are a very unfit sumo wrestler and his tiny sweet-heart. They both die in a heated mating bout, and the Katakuris are forced to bury them too. Meanwhile daughter Shizue is embarking on a romance with a dashing naval officer, a foreign gentleman who speaks with an accent and claims to be the son of Queen Elizabeth and a spy. While Shizue is swept off her feet by the man's exotic exploits, the Katakuris are fighting to keep the dead humans from being discovered. But the police are sniffing around, and even Earth itself seems intent on exposing the dead humans with storms, rain, earth-quakes and land-slides. 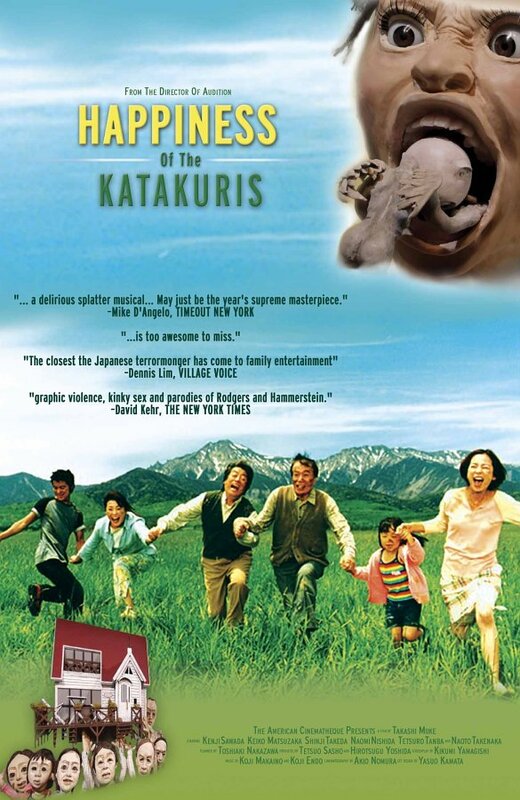 Will the Katakuris find happiness together in their idyllic mountain guest house, despite all the postbiotic humans compiling in the back yard? Or will Fate expose their fumbling, bumbling attempts to hide the unfortunate little accidents? Remake of the 1998 film "The Quiet Family" by Kim Ji-Woon.